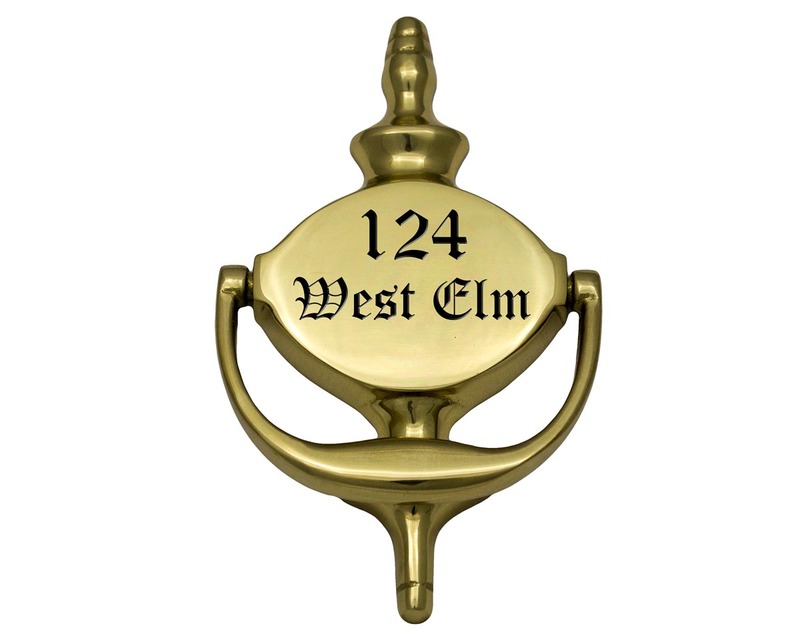 Our Polished Brass Door Knocker makes for an ideal accent for any home, apartment, office, condominium, or hotel. Your door knocker will be deeply engraved with the message of your choice and then enamel filled in deep black, crimson red, royal blue, or pearl white. Choose from four standard font types, as well as custom logo and font options (see engraving options). Door knockers are mounted through the rear side of the door. Screws extend through the door into the back of the knocker.